Home / News / TANZANIA UK DIASPORA TASKFORCE YATOA PONGEZI KWA DKT. ASHA ROSE MIGIRO. 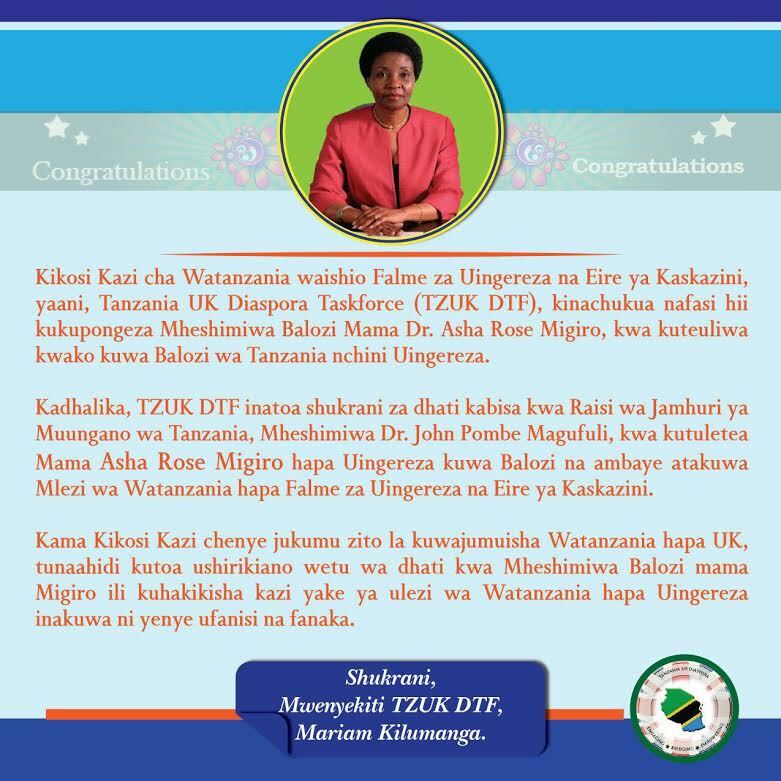 TANZANIA UK DIASPORA TASKFORCE YATOA PONGEZI KWA DKT. ASHA ROSE MIGIRO.